The Hammerhead/Barracuda Hybrid can be converted into a Hammerhead or a Barracuda. 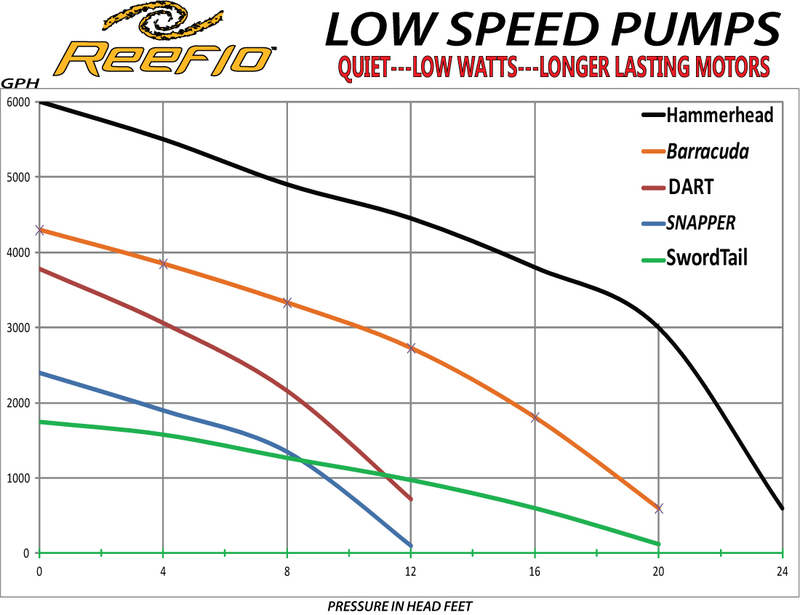 "The Hammerhead™ is the most powerful aquarium water pump in its class. 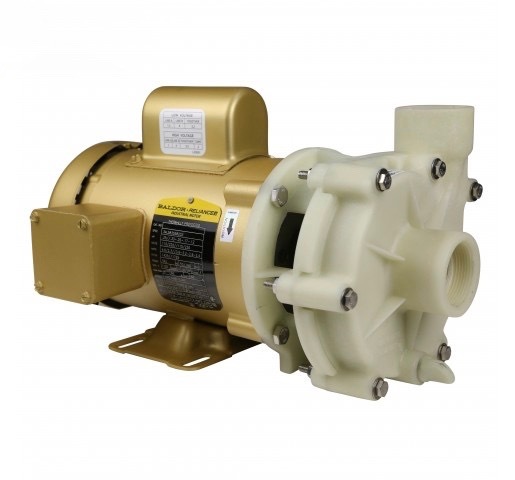 This energy efficient pump is ideal for 300-500 gallon aquariums. This unit is rated for a maximum flow rate of 6000gph, a shut off head of 24 feet and avergage wattage of 322W. Using a 1/3 horsepower Baldor® TEFC Motor manufactured in the USA. The Barracuda™ is our energy efficient entry-level pump for applications requiring moderate head pressure and high flow rates. Ideal applications for this unit are 180-350 gallon aquariums with sump return systems requiring a minimum of 10 feet static head. This unit is rated for a maximum flow rate of 4600gph, a shut off head of 20 feet, and maximum wattage of 227W.